Remittances from expatriate Egyptians rose by 48.2 per cent year-on-year in the first 10 months of the 2017/2018 fiscal year to reach $21.9 billion, Central Bank of Egypt (CBE) data showed recently. The data further showed that in April 2018 alone remittances increased by 41.2 per cent to $2.3 billion from $1.7 billion a year earlier. Remittances are one of Egypt’s main foreign currency earners and contribute significantly to Egypt’s gross domestic product (GDP). Egypt’s GDP grew by 5.4 per cent in the 2017-2018 fiscal year that ended on 30 June, Prime Minister Mustafa Madbouli said earlier this month. The rise is attributed to an increase in tourism receipts, Suez Canal revenues and remittances over the past year. Senior economist at Prime Holding Mona Bedeir ascribed the surge in remittances to the fact that most Egyptians abroad work in Saudi Arabia, which has recently introduced a monthly levy on the dependents of expatriate workers, prompting some Egyptians to send their families back to Egypt. “As a result, Egyptians abroad are sending a bigger chunk of their incomes back to Egypt to support their families,” she said. She added that another reason for the surge was investment as some Egyptians living abroad could be sending back their money for investment in Egypt in real estate or dollars, given the strength of the dollar against the Egyptian pound. The dollar has been trading at an average of LE17.7 to the pound for the last year and half. However, Bedeir said that the increase in remittances was not sustainable and that it could come at a cost as an increase in remittances without being met by an increase in production would push inflation up. “Any unexpected income that is not met with real production will prompt a hike in inflation, though this may not happen in this case,” Bedeir told Al-Ahram Weekly. A recent report on remittances from expatriate Egyptians expected that there would soon be a drop in remittances amid expectations that the US Federal Reserve would hike benchmark interest rates in the US twice this year. A hike in US interest rates usually prompts a rise in those of the Gulf banks. Following the Federal Reserve’s decision to raise its rates last June, most Gulf Central Banks hiked their benchmark interest rates by a quarter of a per cent. The study suggested that Egyptian expatriates will be lured away from the local banking system by promises of higher yields in the Gulf as a result. Bedeir said that should the Federal Reserve raise interest rates again this year, remittances from expatriate Egyptians could see a drop, albeit a limited one. For the 2017-2018 fiscal year, remittances from Egyptians abroad are expected to hit $26 billion, the CBE said this month, a nearly 50 per cent jump year-on-year. Egyptian expatriates have been increasingly sending back remittances to Egypt following the floatation of the Egyptian pound in late 2016. Total remittances between November 2016, when the Egyptian currency was floated, and December 2017 recorded $29.1 billion, a 19.2 per cent increase compared to the same period a year earlier, according to a CBE statement in February. Remittances before the floatation had seen a sharp decline as a foreign currency parallel market caused remittances to leave the formal banking sector as people used the parallel market to get more favourable exchange rates. 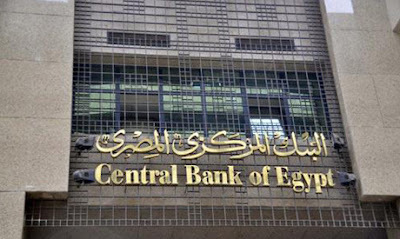 In the first half of the current fiscal year, net current remittances drove a contraction of Egypt’s current account deficit by 64 per cent year-on-year, as remittances increased to $13.1 billion, up from $10.1 billion in the first half of 2016/2017, the CBE said in April. Around 9.4 million Egyptians live abroad out of a total population of 104.2 million.